It’s a bit of a struggle to get up – I haven’t had a half 5 early morning call for a while! Still, there’s no time to slack or sleep – it’s training time! Kathy has me sweating in seconds and I drip my way round the gym. I know I’m going to hurt tomorrow! A lot! The Feeder Program is going great guns today and I start by giving a couple of Banana and Cinammon Muffins to the homeles guy. I hope they’re fit for human consumption. I always get nervous giving baked goods before they’re taste tested and I’ll be damned if I’m doing it myself! The day flies by and after lunch I have to make an early exit as I have an appointment with my counsellor. There’s more muffin donating and of course, lots of contemplating. I’m feeling pretty pumped with my progress and think I’ve come such a long way. I would never have admitted it at the time but when I first rocked up at her office in October, not only was my thyroid in a bad way, but mentally I was a bit of a mess! I think we both agree that I’m going great. I can only liken the scenario to living in a soap opera. Cancer had a starring role there for a while, and was hogging all the story lines, and it’s still there, but it’s just got a cameo role – for now anyway! I can’t spend my whole life worrying about what’s going to happen 3 or 6 months or a year down the track. What a waste of time, what a waste of life! Instead, I’m going to live for the moment, slow down and take time to smell the roses. I’m not going to sweat the small stuff and when things don’t go my way, I’ll try not to throw my toys out of the pram, but look on the flip side instead. I should be thankful that almost one year on from my first surgery and six months from my second, I’m fit, healthy and loving life. And there’s still so much to look forward to… starting today! I have a long awaited rendezvous with Kitty and Jane in Stitch Bar. This underground gem is one of Sydney’s super small bars serving up wonderful wines and a mouth-watering menu. There’s lots of laughs, fine wine and half a farm for dinner! 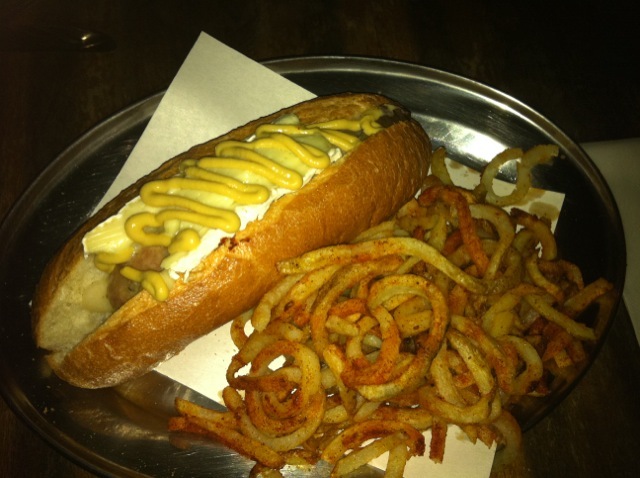 Kitty has the French Poodle, a hot dog, but not as you know it! Toulouse style sausage, red wine and garlic topped with Tarago River Gippsland brie, pear and dijon mustard. Talk about tickling your tastebuds! 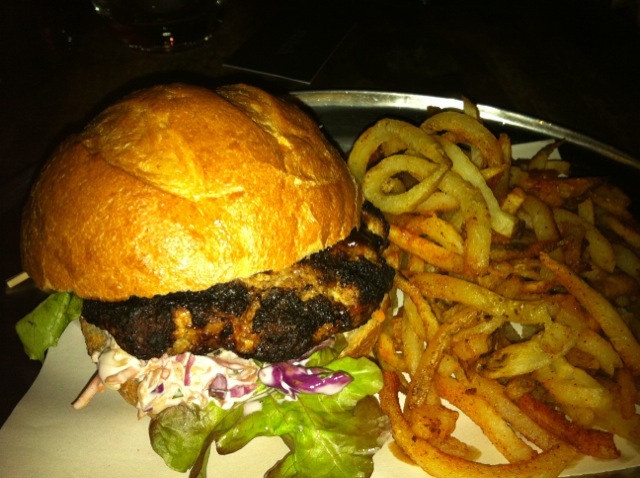 I can’t go past the pork burger, topped with carrot, cabbage, slaw with herbs and homemade spicy BBQ sauce with the cracking curly fries on the side. 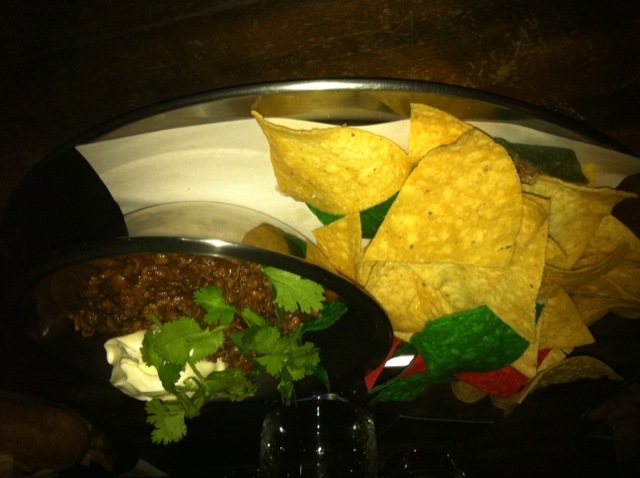 Jane goes for the Chilli con Carne and we especially love the red and green tortilla chips. The evening is the perfect of combination of booze and belly laughs, fine friends and fab food. Best of all, we’re a trio of old nanas and manage to cram all that eating and excitement into just a few hours, so we’re home nice and early ready for our beauty sleeps!